You get to Freemantle (Perth) just in time for the Ashes Test Match. Crew gratuities are included and Colombo, Phuket and Bali are amongst the ports of call. Fares from £1,999 are cruise only. Business Travel News had an opportunity to visit the ship when in Dover recently on her way to the Mediterranean. Travel down was on the high speed Kent train service from St Pancras via Stratford, Ebbsfleet and Ashford. It is to be recommended and for inbound visitors to the port as a sightseeing/shopping trip to the former Olympic site and Westfield Shopping Centre. It is just one hour. 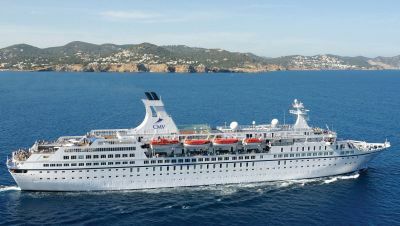 Astor comes in at just over 20,000 tons and accommodates around 578 passengers. The ships that did the same run in the 1940s and 1950s, often carrying the ‘Ten Pound Poms’ where much the same size and speed, but carried twice the number of emigrants, plus substantial commercial cargo. If Australia was not for you (as was the case of this writer’s parents) and a return was made within two years, you had to pay the full fare both ways. 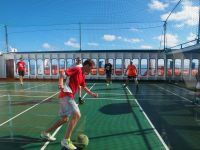 Astor has seven passenger decks topped out by a full size sports court together with a jogging track. Down one is a bar, open stern facing terrace and a well equipped small gym. On another level is small swimming pool, ideal for getting wet in tropical climates. Deep down inside the ship is an indoor pool, much the same size as the outdoor one. It is within the Wellness Oasis spa area with beauty salon, sauna and treatment rooms. The medical centre adjoins. The décor of the ship is classical with teakwood decking, polished timber railings and plenty of woodwork and veneer in all the public rooms. The carpets are fresh and the ship has the feeling of a mobile stately home. The décor is restrained. The main public areas are on just three of the upper decks. It would be difficult to get lost on this ship. The Waldorf Restaurant offers a traditional two sitting fixed time dining option and there are two further alternatives. On a lunchtime visit it is not really fair to judge a ship but the menu we were offered was varied and served piping hot. The galley looks to be well sorted. The Captain's Club seems a perfect venue for pre-dinner cocktails with the resident pianist and is also open late. There is a show lounge too and alternative places to drink. A quick look at the bar prices indicated very reasonable prices (unlike some of the large operators who charge at the land rate and keep the amount normally reserved for the Exchequer). Other facilities include the ship's Library, the Card Room, an internet café, and a small shopping arcade. Accommodation ranges from the Astor Suite, the only balcony offering, and a whole series of large superior cabins around 280sq ft, including eight internal, which were very nice-looking. The vast majority of cabins are twins, 140 sq ft well-fitted with the latest flat screen TVs. BTN recently requested from all the major cruise operators details of bargains available in the immediate future, with the results you can see, somewhat edited as a taster for each operator in order not to make it too long. 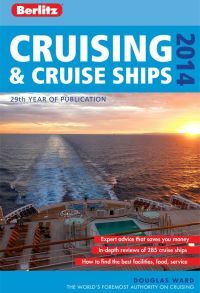 Readers are best advised to contact their cruise consultant or the cruise company direct for a much larger selection and up to date availability. If your favourite line is not mentioned it is probably because BTN did not get the information.